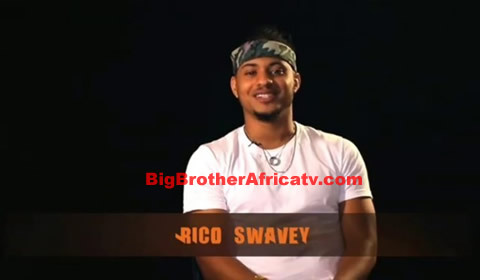 Meet Rico Swavey: Rico Swavey describes himself as a protector who likes to stand up for the oppressed. He is a 25-year-old actor who enjoys swimming and singing. He became a Housemate because he wants to create awareness about autism in support of his little cousin. He is a gentleman, charmer and a ladies man. Even if he had a million dollars Rico Swavey would be in the House “just to catch the waves”. He said he exploded of joy when he got his first big acting gig, and shared that he was a lion at heart, a protector who likes to stand up for the oppressed. When Rico Swavey is not busy charming ladies, he enjoys swimming and singing. Rico’s parents and seven siblings are happy and supportive.